Xiaomi recently hosted a launch event in India where they released their flagship smartphone, the Mi3. Xiaomi India was kind enough to send us a review unit to test it out and let our readers know its specifications and unique features. 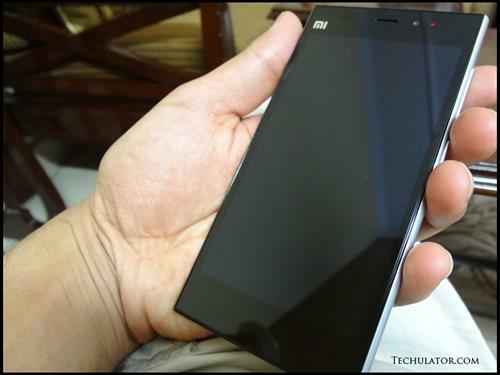 Whether you're looking to buy the Xiaomi Mi3 or may have been using it for the past few days, here are the top 5 features of this beauty that you might not yet be aware of. 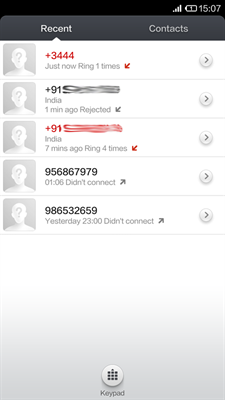 If you go ahead and click the phone button on your Xiaomi Mi3 to see the calling list, you would be able to see the minutest of details about missed/received calls. If you got a missed call notification, head onto the calling list and see the number of times your phone rang before the call ended. You would now easily be able to make out whether it was a long ringing missed call or your buddy left you a single-ring signaling you something. The call list shows how many times the phone rang if unanswered or for how long was the last call if answered. With the Mi3 in your hands, you don't need to download and install third party QR code readers from the Google Play Store. The default camera application on the mi3 has an inbuilt QR code reader that will automatically detect a QR code and will give you an option to view the details. 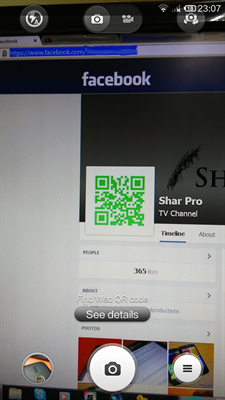 Be it a contact card, a URL or text, you will get a notification while using the camera if the Mi3 detects a QR code in the picture. Pretty cool isn't it? Who doesn't take selfies? I take a lot of them myself. While I'm pretty good at taking selfies of myself alone in the frame, one issue that I sometimes face is that with my arm's length I am not able to fit a few people in the picture. With this nifty feature, you can now set your camera at a comfortable distance on a table or a couch and say something out loud to take your photograph. That's right, all you have to do is say something. 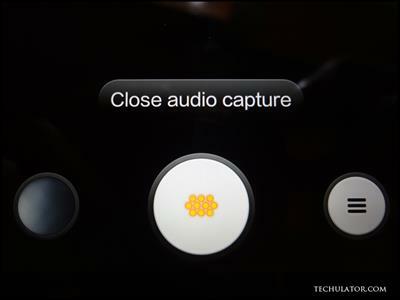 It will identify the audio signal and click a picture when you and your friends are ready for a group selfie. Go ahead, try it on your Mi3 now! I travel a lot. Sometimes by air, sometimes by road, I'm sometimes near a beach and sometimes on the mountains. 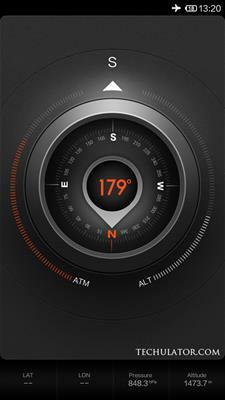 The compass app on the Xiaomi Mi3 will not only show you the usual direction and heading you're facing, it will also show you your current altitude, the current atmospheric pressure around you as well as your latitude and longitude co-ordinates. I've tested this myself while on one of my recent flights and this little in-built app is amazingly accurate. Did you know that apart from the regular SMS inbox on your Xiaomi Mi3, you also have a private sms inbox, which only you can access? That's right, you can add people from your contact list to this private messaging area and all text messages from that particular person will land up in the private SMS inbox. If you want to, you can password protect it as well. 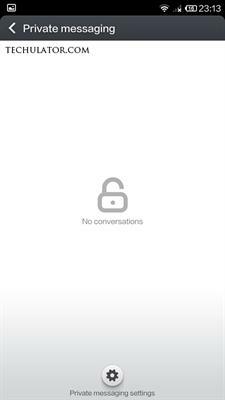 To reveal the Private Messaging Area, you need to pull down the normal SMS inbox as far down as you can until you get access to the private/secret area. Let us know if you were able to find it on your Mi3. Although there still are plenty of these nifty features on the Xiaomi Mi3, I thought the ones listed above were Top 5 in my opinion. Please let us know in the comments section below, how many of these were you aware of. Also, let us know if there's a unique feature that you know of and would like to share it with the world. Thanks for reading this article, I hope you liked it. I also post videos reviews on Techulator's newest YouTube channel, please feel free to Subscribe to it.